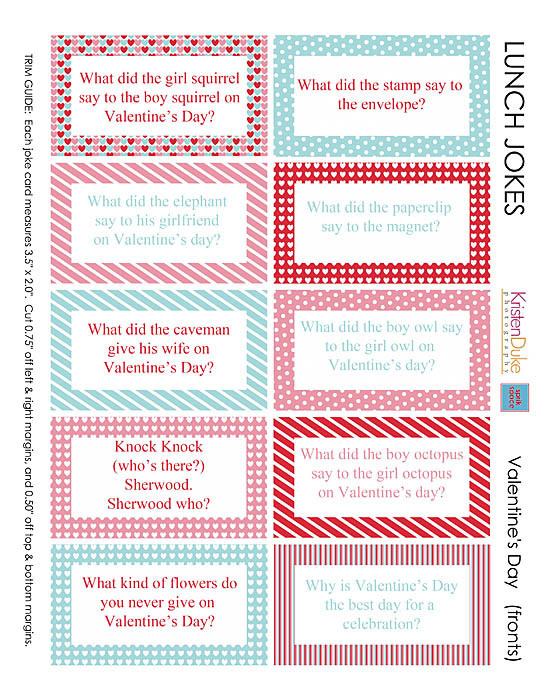 Printable Valentine’s Day Jokes are perfect for school lunch boxes and valentine gift bags. Hooray for Valentine’s Day! I’ve got some Valentine’s Day Jokes that your kids are sure to enjoy. You can print them out and tuck one in a lunch box for the two weeks leading up to the holiday of LOVE! Or you can print of multiple copies and include them in the valentine gift bags. They are perfect for kids to hand out at school. Even your husband will enjoy these little funny love notes. This is one set that I have made, and you can grab a second set of Valentine Jokes so you have enough to share for an entire month! Of you can pick and choose the ones you love the most! 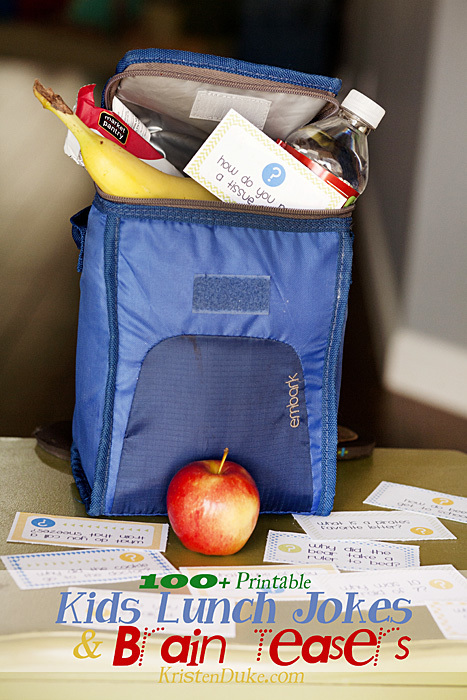 I print a set out for each of my kids so I have them ready to slip in the lunches after they pack them. If you want to write your own jokes or notes, we have you covered! You can print off some blank valentine cards below too. They have the same fun valentine boarder! You can download the bland printable valentine cards HERE! And grab the printable Valentine’s Day Jokes HERE! My kids still love getting Valentine’s Day jokes in their lunch boxes. Make sure to check out all of the other fun printable lunch box jokes I have available for you to download for free!